On May 29 2011 Eversafe Marine Engineering Company successfully completed a LPG Cargo Tank lifting Project with heavy lifting airbags in COSCO shipyard. That VLGC cargo tank weighs 1600 tons with 40 m length , 30 m width and 20 m height. 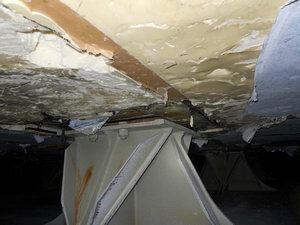 During the Japanese Tsunami in March 2011 that VLGC hold space was damaged and water ingress of approximately 7m above the inner bottom caused the cargo tank to float freely. 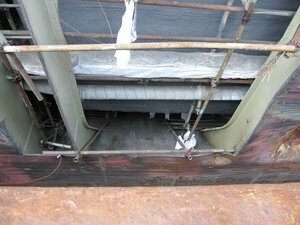 As a consequence the 64 pieces wooden liners from the lower tank supports have floated out and the tank was sitting directly on the steel plates. The cargo tank had to be lifted to fit back the wooden liners. Airbag lifting would take and distribute the load evenly over the inner bottom and tank bottom. Contrary to hydraulic jacks and floating crane no additional reinforcements of the structure was necessary. Also airbag lifting can be precisely controlled which is also one of selection reasons. The tank in hold place has very limited space from the top and sides: the space on top of tank is limited to 12 cm and in four sides only 60 cm space is available. To put back wooden liners tank need to be lifted up11 cm from the support blocks and lowered down one centimeter by one centimeter. So the lifting and descent must be totally controlled. 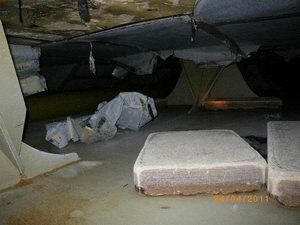 A pre-inspection was performed by Eversafe engineer in order to determine the space available for the airbags. One access hole was cut in the portside of the hold space to allow smooth transport of airbags. 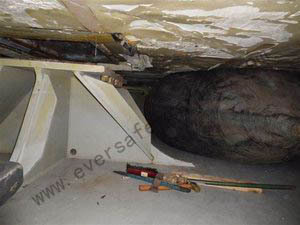 Eversafe Marine was contracted to supply airbags and technicians for operating the airbags. In total seven heavy lifting airbags with 1.5 m diameter and 16 m length were employed to lift the tank. For one airbag with 0.14 MPa working pressure, the lifting force will be 263t. 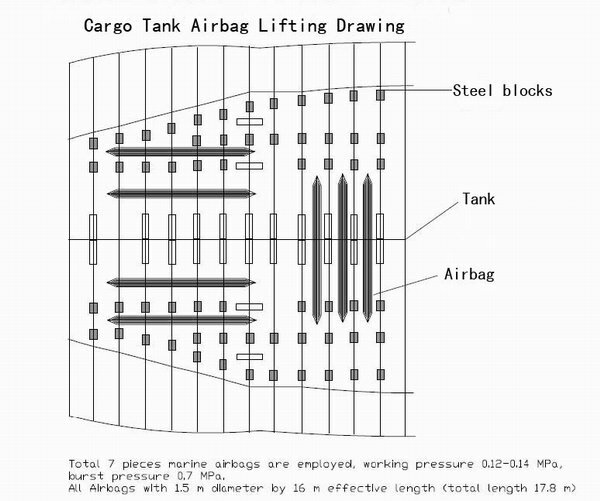 Then seven pieces airbags the lifting force is 1841t.Tank weight with insulation and tank dome is around1600t. To settle airbags in proper positions the limited space made troubles for us. Since no big instruments can be deployed for the airbag hauling in the hold space people have to use chain blocks as main tool. The height from hold space to tank bottom is 64 cm people even can not squat when they work under the tank. 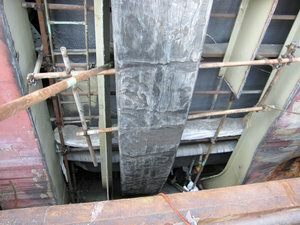 In the morning of May 29 2011 the airbag tank lifting work started. 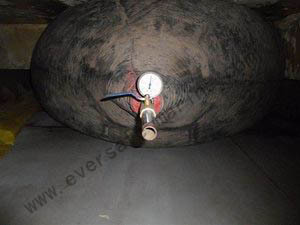 Eversafe technicians carefully controlled the inflation process to ensure upright lifting up. In our hour the tank was lifted 11 cm up from the support blocks. In the afternoon when all wooden liners were placed in proper positions the tank was lowered down one centimeter by one centimeter until liners fit into frames. Tank lifting/lowering was completed on 29 May, 17:00 local time. All 64 pieces of wooden liners were placed back successfully. For this tank lifting project the weight is easy to handle just limited space really made troubles for us. It took two days to settle 7 pieces airbags in position and only three hours to lift and lower the tank. 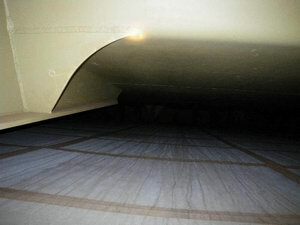 The working pressure of airbags is below 1.4 bar so even the insulation foam of the tank bottom is not damaged after completion of project. Heavy lifting airbags have large contact area with lifted structures so they can offer a precise controlled soft lift force which ensure the lifted structure safety. 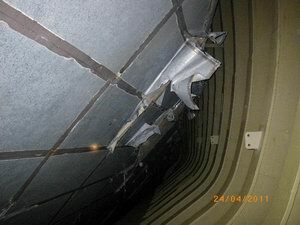 The vertical bending stress caused by airbag lifting is almost neglectable.